 Yonah Alexander and Milton M. Hoenig, The New Iranian Leadership (London: Praeger Security International, 2008), p. 170. "Implementation of the NPT Safeguards Agreement in the Islamic Republic of Iran," International Atomic Energy Agency (IAEA), 1 June 2004, www.iaea.org. 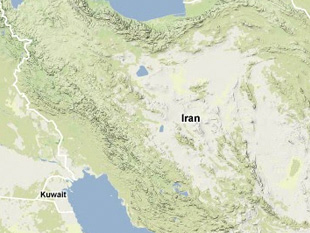 "Nuclear Sites, Farayand Technique," Institute for Science and International Security, www.isisnucleariran.org. "Nuclear: New Revelations on the Iranian Regime Front Companies," National Council of Resistance of Iran, 22 February 2007, www.ncr-iran.org. UNSCR 1737 listed Farayand Technique as an entity involved in Iran's centrifuge program. In 2007, the U.S. Department of the Treasury designated the company pursuant to Executive Order 13382, an authority aimed at freezing the assets of proliferators of weapons of mass destruction (WMD) and their supporters. U.S. Department of the Treasury, "Treasury Takes Additional Measures to Combat Iranian WMD Proliferation - Iranian Nuclear and Missile Firms Targeted," 8 June 2007, www.ustreas.gov.